One of the main tasks of this blog over the last three years has been to provide evidence for our claim that from the 1660s the distinction between experimental and speculative philosophy is crucial for an understanding of early modern natural philosophy and even the philosophy of this period in general. More specifically, we have been furnishing evidence that the self-styled experimental philosophers both emphasized the importance of experiment and observation for the acquisition of knowledge, and decried the use of speculation and hypotheses that made little or no appeal to observation. We have also claimed that a prime example of a speculative philosophy that came under attack from experimental philosophers was the Cartesian vortex theory. It may be surprising, therefore, that hitherto little has been said on this blog about Roger Cotes’ Preface to the second edition of Newton’s Principia published 300 years ago in 1713. For, Cotes’ Preface contains one of the most forthright and sustained defenses of experimental philosophy to be found in the early eighteenth century and it prefaces what can only be described as the most important contribution to natural philosophy in the early modern period. Cotes begins his Preface with a tripartite distinction between ‘the whole of the Scholastic doctrine derived from Aristotle and the Peripatetics’, (The Principia, 1999, 385) ‘those who take the foundation of their speculations from hypotheses’ and ‘those whose natural philosophy is based upon experiment’. Needless to say, it is this latter method that is ‘incomparably [the] best way of philosophizing’ and ‘which our most celebrated author [Newton] thought should be justly embraced in preference to all others’. (386) The rest of the Preface is a justification of this method of experimental philosophy. First, he elaborates on the method in more detail. He then proceeds to show how Newton’s thesis of universal gravity was established according to this method. Next, he argues against the Cartesian vortex theory and plenist accounts of the universe and, finally, he brings it to a close claiming: ‘Therefore honest and fair judges will approve the best method of natural philosophy, which is based on experiments and observations’. (398). 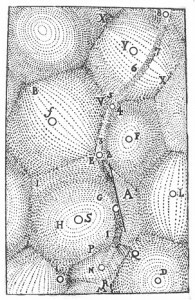 In this post I shall outline one of the interesting features of Cotes’ critique of the Cartesian vortex theory. In my next post I’ll examine his view of the experimental philosophy in more detail. According to Cotes the speculators ‘are drifting off into dreams, … are merely putting together a romance, elegant perhaps and charming, but nevertheless a romance’ (386) One such romance is the Cartesian vortex theory. 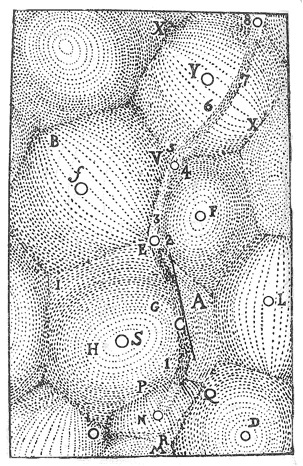 In the first edition of the Principia (1687) Newton had advanced a number of arguments against the vortex theory at the end of Book Two, such as the claim that planets moving in a vortex would speed up at the point most distant from the sun when, in fact, the observational evidence and Kepler’s area law showed that they slowed down at this point. But apart from this, little mention is made of the theory. By contrast, in the second edition of the Principia the critique of the vortex theory is a prominent theme. In addition to the arguments at the end of Book Two, the new ‘General Scholium’ appended to the book begins ‘The hypothesis of vortices is beset with many difficulties’ (939) and there follows a whole paragraph on the problems with the theory. The final two sentences deal with the motion of comets, claiming that their regular motion ‘cannot be explained by vortices and that their eccentric motions can only be explained if ‘vortices are eliminated’. These are not claims that Newton makes in the Principia but are rather summaries of arguments that Cotes presents in his Preface. What is striking about these arguments is that they are, in effect, the bookends of the Principia. They don’t appear in the body of the work, but are a kind of polemical after thought, and most importantly, they are set within the context of a defense of experimental philosophy. What is it that accounts for the extraordinary fact that Cotes introduced this material in the opening preface and that Newton should allude to it at the end when the arguments are absent from the book? This is not merely a rhetorical question. I would value any comments you may have. This entry was posted in Ideas and tagged comets, Cotes, Newton, vortex theory by Peter Anstey. Bookmark the permalink.